UNESCO in collaboration with Nepal Picture Library organized a one-day symposium to discuss and debate the state of Nepal’s photo archives on 6 November 2012 at Yalamaya Kendra, Patan Dhoka. 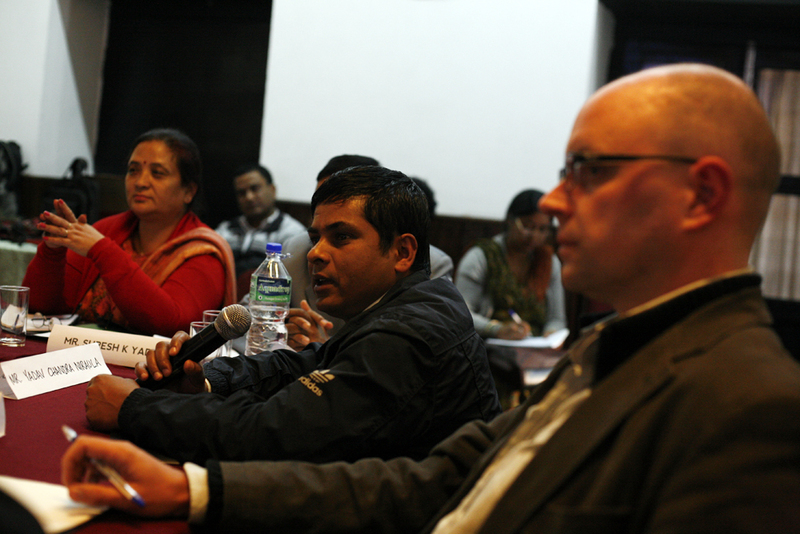 The participants in the event – mostly archivists, private collectors, researchers, and representatives of state run entities responsible for maintaining archives – raised questions such as: What is the state of Nepal’s photo archives? Who are the users of existing archives and collections? What are the challenges of archiving photographs? How can we plan for the future? 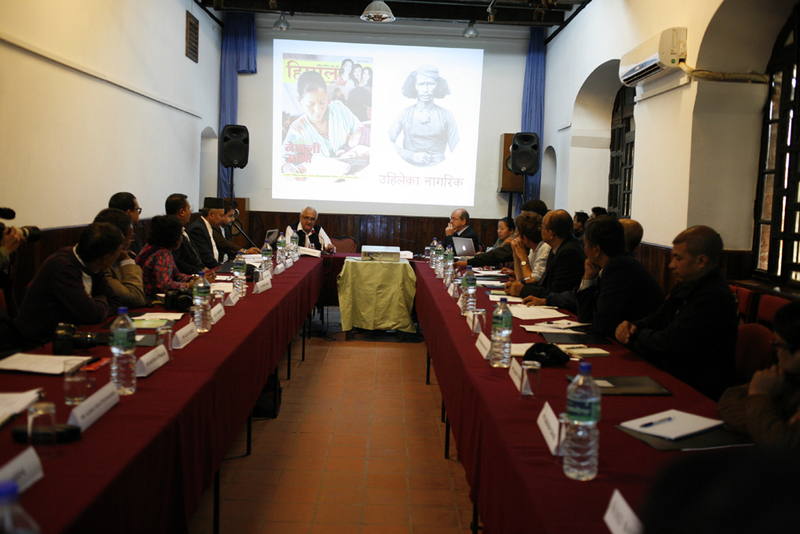 The first of its kind to take place in Nepal, the symposium attempted to map existing photo collections and archives all over the country, discussed challenges in their archiving and encouraged participants to network and explore ways of working together in the future. Presenters included Shamik Mishra from Mandan Puraskar Pustakalaya, Prakash Darnal from the National Archives, Sarita Manu from the Hri Institute of Southasian Research an Exchange, Kishor K Sharma from Nepal Picture Library, Bisu Kumar KC from the Nepal Copyright Registrars Office, Pratyoush Onta from Martin Chautari and archeologist Alban von Stockhausen. 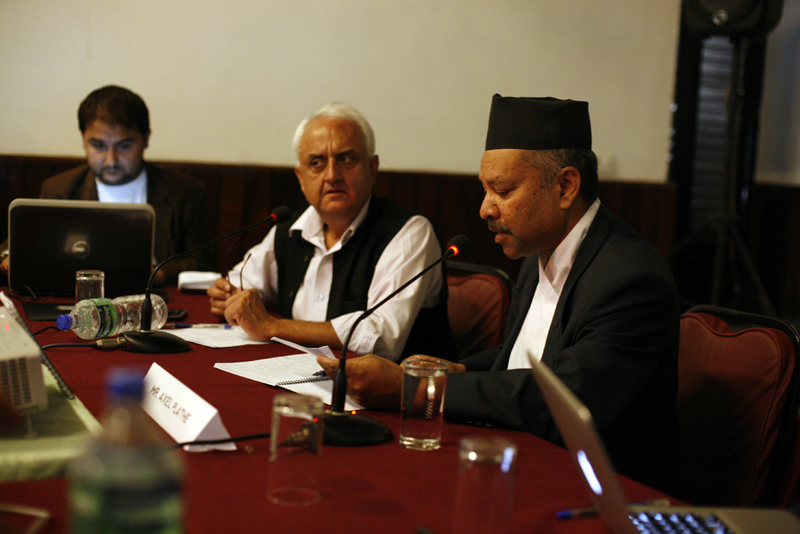 The symposium was moderated by Kanak Mani Dixit publisher and editor of Himal Southasian and Himal Patrika. Participants included representatives from the Archaeology Section of the Culture Preservation and Promotion Division at the Ministry of Culture, Tourism and Civil Aviation, the National Library, the Central Library and the Department of History of Tribhuwan University, the Hope 1 Library, the Keishar Library, the Dilliraman Library, Madan Puraskar Pustakalaya, the Nepal Folklore Society, Martin Chautari, Social Science Baha, the Kathmandu Valley Public Library, Gorkhapatra and Kantipur publications, photo.circle, private collectors and individual photographers. 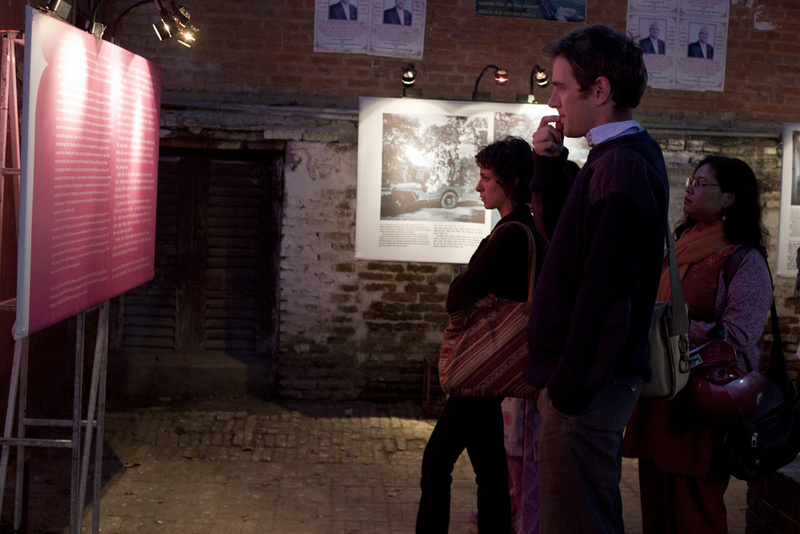 The symposium was accompanied by a public exhibition titled “Retelling Histories: Photographs of Friendship”. The exhibition that is curated by Photo.Circle includes a selection of photos from various private collections. The exhibition was launched by member of Nepal Academy Sulochana Manandhar Dhital and UNESCO Representative to Nepal Axel Plathe at the Patan Dhoka Pipalbot Chautari and will remain open to the public until 10 November 2012. The symposium and exhibition have been organized to mark World Day for Audiovisual Heritage, which is yearly observed on 27 October to increase global attention for the need to preserve the world’s inheritance of still and moving images and of sound recordings. The Day was established in 2007 byUNESCO in cooperation with the Co-ordinating Council of Audiovisual Archives Associations (CCAAA) and other partners. The slogan of this year’s celebration is ”Audiovisual heritage memory? The clock is ticking”. UNESCO aims at raising awareness of the importance of audiovisual documents as integral part of the world’s memory. Audiovisual heritage – film, video, radio and recorded sound material – is being lost every day due to neglect, natural decay and obsolescence of technology. Urgent measures must be taken immediately to prevent the loss of the heritage, especially through digitization, for example recordings, photos and films.